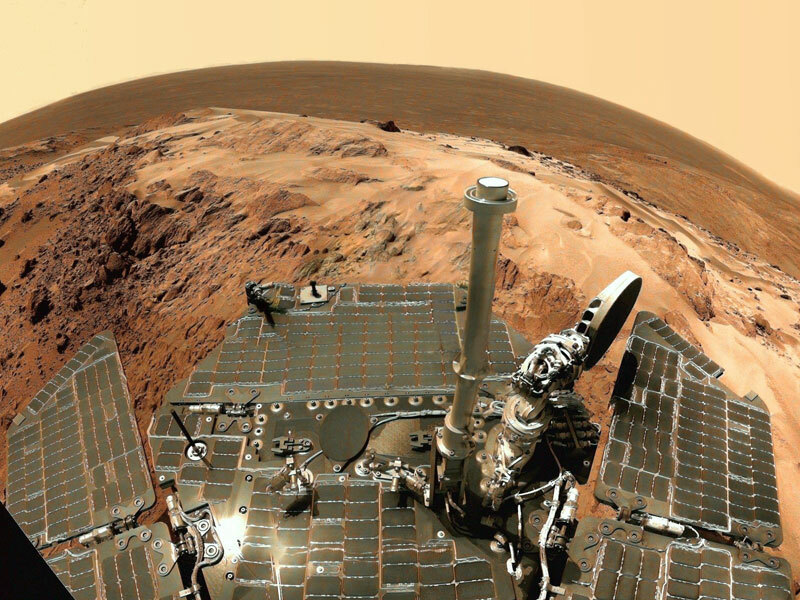 Explanation: What is the geologic history of Mars? To help find out, the robot Spirit rover explored the terrain on the way up to the top of Husband Hill and took pictures along the way. Earth-bound team members later combined images from one camera with colors from another to create this semi-realistic vista from near the top of the rugged hill. Many rock faces were imaged and probed along the way. 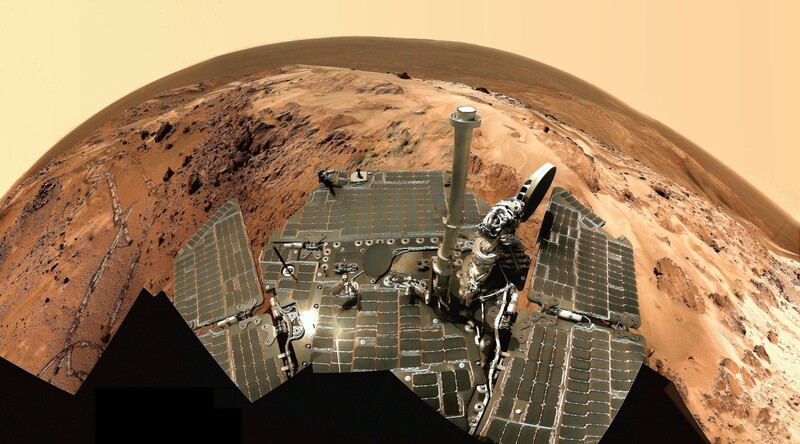 The above image captures not only a high and distant Mars inside Gusev crater, but also more of the refrigerator-sized Spirit rover than other similar vistas. Visible technology includes a wide array of energy-absorbing solar panels, a sundial, and the circular high gain communications antenna.